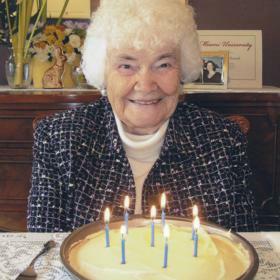 Dorothy Jane Patterson Perkins, born April 3, 1923, passed away on January 24, 2019. She was 95 years old and lived at Freedom Village. Dorothy was the second child of John and Laura Patterson who emigrated from Ridgetown, Ontario to River Rouge, Michigan. Her family attended the Presbyterian church but Dorothy got carsick in the streetcar so her parents allowed her and her brother to walk to a nearby Episcopal church. 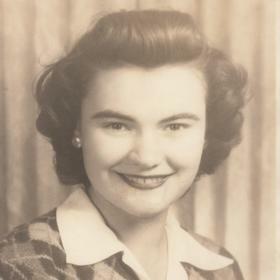 Dorothy attended Wayne University in Detroit and graduated with a degree and a job in medical technology. In 1944 her parents met a young army soldier at the Immanuel Presbyterian Church and invited him home for Sunday dinner. He was Alfred Perkins from Chicago. Three weeks later he proposed marriage and she accepted. 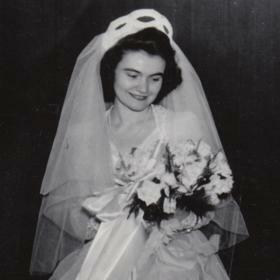 They were married in St. Hilda’s Episcopal Church on June 16, 1945 and honeymooned in Saugatuck, Michigan. After Al’s discharge from the army in 1946 they moved to Chicago to live on the second floor of his parents’ home in Englewood. Four children were born in Chicago. They attended the Englewood Presbyterian Church where Al taught adult Bible study and felt a call to the ministry. He attended Moody Bible Institute but in order to be ordained as a Presbyterian minister he needed a college degree and a three year seminary degree. 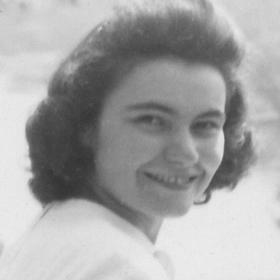 Dorothy encouraged Al to begin what became twenty years of attending college and seminary while serving small churches in New Amsterdam, Wisconsin and Dale, Indiana. Dorothy taught Bible School classes while raising their children. Following Al’s ordination they lived in Sandwich, Illinois for fourteen years where Al served the Federated Church and their youngest daughter was born. They retired to Saugatuck. 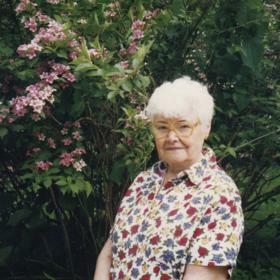 Dorothy was interested in her family history and spent several years discovering her English and Scottish heritage and the story of a Scottish ancestor’s nephew who served as a commander of Buffalo Soldiers during and after the Civil War. Dorothy was predeceased by her husband, Rev. Alfred Lewis Perkins and her brother, Jack Patterson of Allen Park, Michigan. She is survived by her five children and spouses, Barbara and David Wright of Bristol, Maine, Arthur Perkins of Chicago, Janet and Austin Rund of Saugatuck, Michigan, Carol and James Kimo Williams of West Virginia, and Marilyn and James Biery of Grosse Pointe Farms, Michigan. She is also survived by five grandchildren, Jennifer and Tom Rund-Scott, Aaron and Allison Rund, Rebecca Williams, Melanie and Andrew Reynolds and Laura Biery; and seven great-grandchildren, Ben, Luke and Jesse Rund-Scott, William and Peter Rund and Marian and Cameron Reynolds. A memorial service will be 2:00 pm, Tuesday, February 5, 2019 at Third Reformed Church, 111 West 13th Street in Holland. Reverend Kama Jongerius will be officiating. Burial will be in Riverside cemetery in Saugatuck. Coffee and cookies will be served following the service. Memorial contributions may be given to the Third Reformed Church Organ Fund. Arrangements are by Dykstra Funeral Home – Downtown Chapel.